This moist, delicious burger substitutes ground chicken for the beef. It still has all of the flavor with less fat. 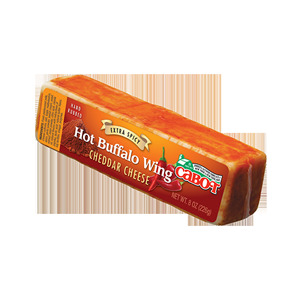 Add some Hot Buffalo Wing Cheddar, hot sauce, chilies and fresh cilantro for a grilled masterpiece! HEAT 2 teaspoons of oil over medium heat in a small skillet; add onions and cook, stirring often, until well browned, about 10 minutes. Transfer to small plate to cool. COMBINE chicken, cheese, chiles, cilantro, hot sauce, salt, pepper and cooled onions in large bowl. Form mixture into four equal patties. HEAT remaining tablespoon oil over medium heat In large nonstick skillet; add chicken patties and cook for about 6 minutes per side or until done all the way to center. 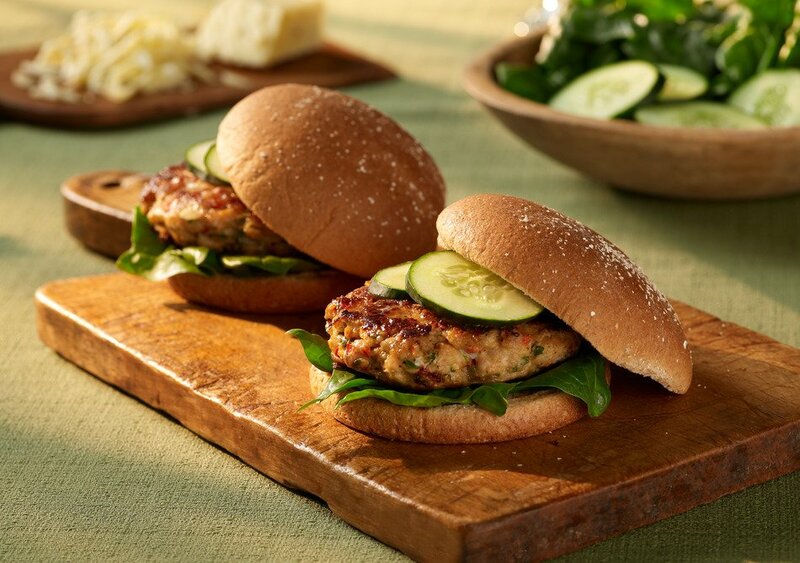 SERVE burgers on whole grain buns topped with spinach and cucumbers. I love this recipe. These burgers are healthy and so easy to make. They are great for a barbeque or a quick week night meal.